2019 KINDER Basketball Registration is $30.00 (Non-District Registration $35 - Click Here a Map of the District). Registration ended January 7, 2019. Clinics start January 21, 2019. 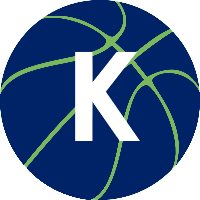 Kinder Basketball Clinics is for both Boys and Girls in Pre-School and Kindergarten. Kids will learn the basic fundamentals of basketball like dribbling, shooting, passing, and defensive skills by doing different drills. They will NOT play basketball games.